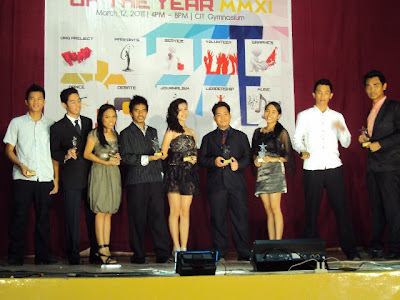 March 12, 2011 - Cebu Institute of Technology University, through the effort of CIT University Supreme Student Government, held the awards night of Technologians of the Year 2011 last Saturday. The event was attended by almost 30 to 50 finalists from different categories. True to its core value of passion for excellence, Cebu Institute of Technology - University takes pride of so many excellent and outstanding talents of different genres. This is an event that will recognize the efforts and various expertise of students who excelled in various fields. SSG President, Ronnell L. Padillo, opened the program with his Welcome Remarks.The night was serenaded by our very own Violinist Shelby Puerto of the College of Computer Studies. At the end, our funny Jovel Clark closed the program with inspirations and fun. 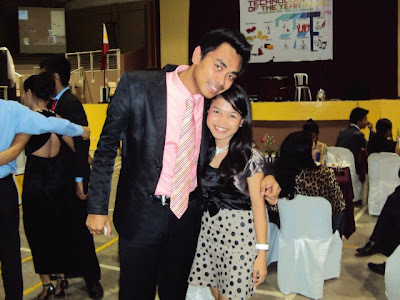 Kudos to the organizers headed by Mr. Jovel Clark Contratista and to the finalists and winners, Congratulations!